Still with the unexplained book covers – though I will assure you that each and every one of them has been profoundly significant in some way. Seven, or ten, I’ve lost track, posted over seven, or ten, days and tagging – Oh I think it’s time to tag Dean Frech. How about it Dean? I have failed miserably at this challenge, not because I wouldn’t be able to chose the books but the technology has me flummoxed! I haven’t used wordpress, although I probably should, as it looks very professional. Something for my ‘to do’ list. Also, this amazing weather has thrown us into a spin. Suddenly life in Abergavenny has become more like living in Tuscany rather than Mordor. 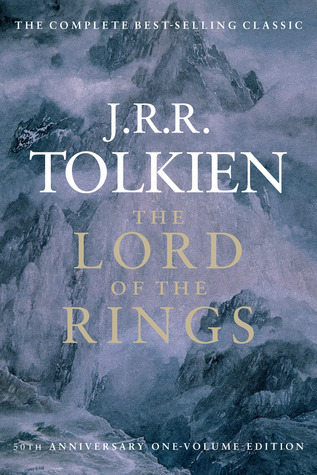 I love the Lord of the Rings by the way, and have a deep mistrust of anyone who thinks it’s ‘just a ridiculous story about goblins and elves’. He was a genius. I will try to catch up if I can. PS I had 10 lovely people for my talk at the library the other day. Two had already read the book, and were great to have in the group as they kept saying really nice things about it. And I sold three copies, so all in all not bad for a small gathering. On market day. In Tuscany! If it’s like this is Tuscany all the time I think I’ll hang on for a return to normal Welsh weather. I’m melting.